This week Crime Stoppers of Mesa County needs your help in locating a suspect that has been passing counterfeit United States Currency. 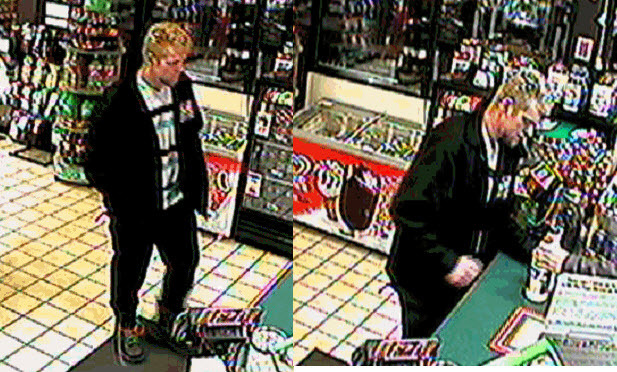 On Sunday, December 13, 2014 a white male, about 6’ tall with curly blonde hair, approximately 26-27 years old attempted to pay with a counterfeit $20 bill at Stop N Save located at 723 Horizon Drive. The surveillance photo of the suspect is included with this blog post. If you know the identity or whereabouts of this subject, please contact Crime Stoppers at 241-7867. Information reported to Crime Stoppers that leads to an arrest can earn you up to $1,000 cash reward and you will remain completely anonymous. For more information, see us at www.241stop.com.